SKU: RH96801. Categories: Biography, Nautical, Sailing. Tags: Ron Holland, Rubert Murdock, sailing, Yachts. 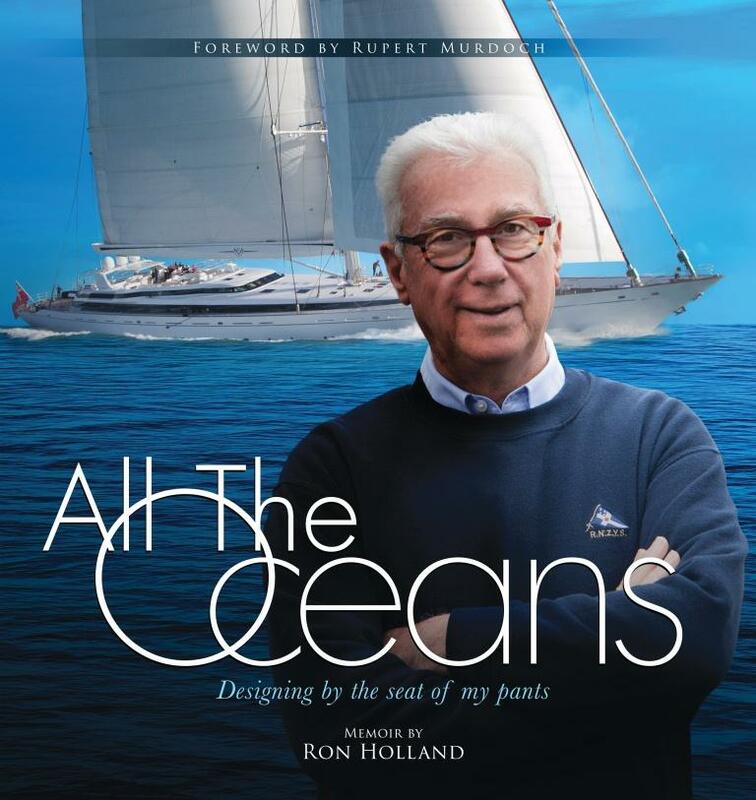 In All the Oceans Ron Holland’s memoir follows the trajectory of a small-town lad with a keen sense of adventure over all the oceans to an undiscovered world of SuperYacht design. “Just say yes!” Ron never let the fact it had not been done before get in his way. He started out racing small dinghies and went on to win races at an international level, sailing his own designs. The autobiographical story of how his combination of talent and zest for adventure attracted fascinating clients who shared his same fearlessness when charting unknown territory make this a compelling saga and an engaging tale of success in a new frontier. All The Oceans, Designing by the Seat of My Pants is a story of following one’s passion, Holland ‘s focus on the quest for the fastest design and winning the race propels him along a series of unplanned adventures and through some of the most unlikely channels to success. Celebrated yacht designer Ron Holland drew his first yacht at 19 years of age. He rapidly made a name for himself as one of the most successful and sought-after designers in the highly competitive world of international ocean racing, before advancing to bigger things. His seminal influence on the then-new category of super-yachts, those toys of the rich and super-rich, brought him fresh success, and an introduction to a world of fascinating personalities: business tycoons, royalty and rock stars. For over 50 years Holland has developed unique relationships with his international clients, allowing him an intimate view of social and economic trends during the early days of the new millennium.